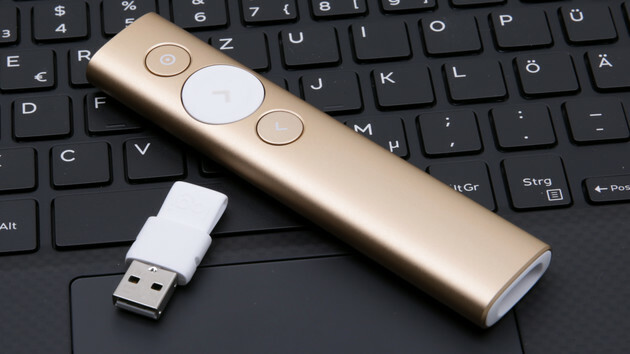 Discover in this article the selection of the best remote controls with laser pointer to animate your PowerPoint presentations. If the computer is the perfect companion to assist you during a defense or a meeting, it can quickly become your worst partner. You are deprived of your movements, hidden behind your computer screen, suspended finger above the space bar to move to the next slide. You trade your cap as a facilitator against a simple slide commentator. Without freedom of movement it is more difficult to capture the attention of your audience. Equipped with a remote control to switch your PowerPoint slides you forget the presence of your computer to your audience. By becoming mobile again you can more easily cross the eye of each other and thus maintain general attention. You can use gesture to support your remarks. If you are not comfortable when you have to express yourself in public this small remote will help you to gain confidence. 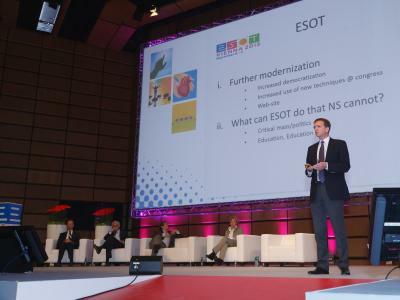 In addition some remote controls incorporate a pointing laser sometimes very useful on certain types of slides. This is the case of the models proposed in this paper. 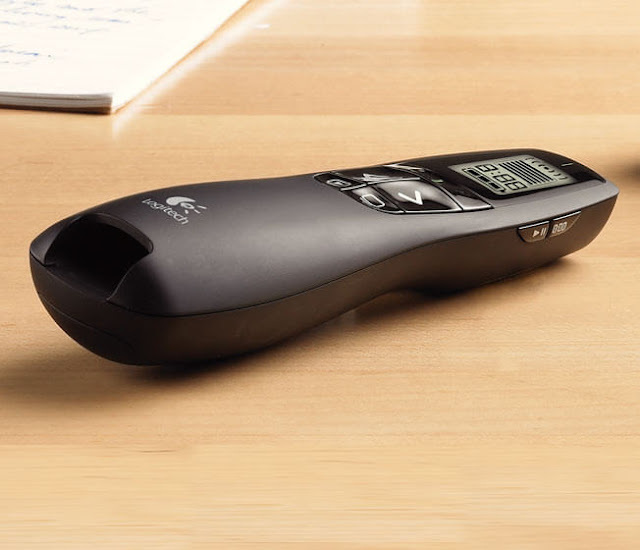 The Logitech Professional Presenter R700 even allows you to manage your time more easily with a small digital display that displays elapsed time and thanks to a silent vibration system that informs you about the timing of your presentation. 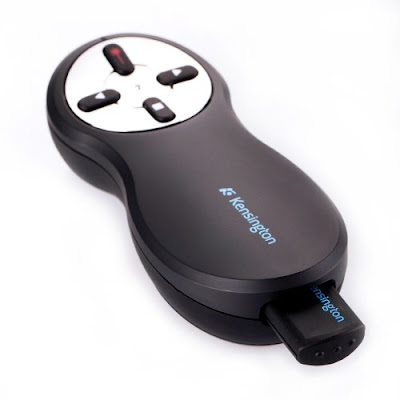 Discover now the ranking of the 4 best remotes for your presentations. 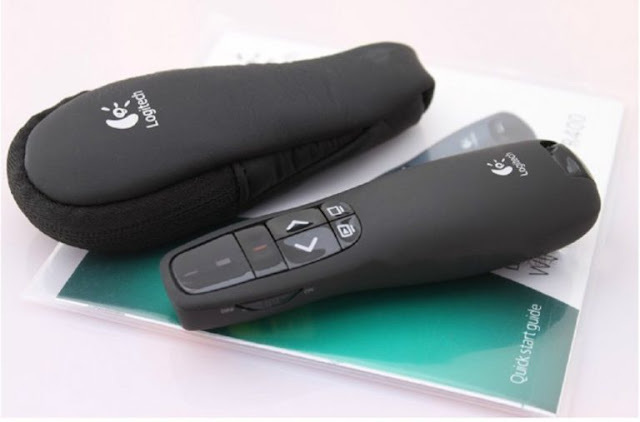 The latest Logitech toy for presentation remote control. The design is minimalist and the advanced features will seduce you every time. It incorporates a laser pointer ... virtual. Let me explain, when you are aiming at a presentation, this interacts directly with your presentation and instead of the traditional laser you can for example zoom the pointed area or darken what is around. Another nice thing it is rechargeable via your USB port, a full charge and you are gone for 3 months of presentations. The only problem is its price a bit high. A look more basic than the Spotlight but a quality of construction impeccable as often at Logitech. It includes a red laser pointer, an LCD display showing the battery life and the time of your presentation, and offers a range of 30 meters. It does not need any drivers to run. Small sister of the R700 it is smaller and lighter due to the absence of LCD. This does not prevent you from viewing the autonomy of the battery via the small indicator provided for this purpose. The small red laser pointer is well present rest assured. The good news is that it is also cheaper. An alternative to the Logitech leader , thanks Kesingston ! Certainly it is not the prettiest, but is what it is really asked and the basic functionalities are at the rendezvous. A small pouch would have been welcome, but if not slip in your bag it is very good too.